A marquee lawn was established on the site of the old Tea Room. Extensive building projects were also carried out at the other National Botanical Gardens in this decade. The popular www.plantzafrica.com website was launched on 31 July 2000 and Kirstenbosch staff have been contributing a new plant every week ever since. Indirectly as a result of one of these plants of the week pages, a form of Erica verticillata which was extinct in South Africa, was located in a collection in Vienna and cuttings brought home in 2000. 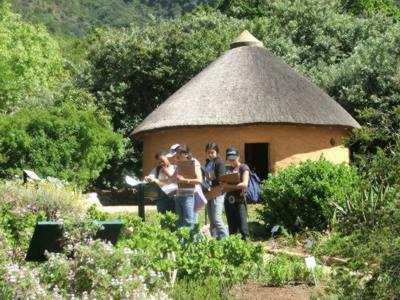 In 2002 the Useful Plants Garden with its Xhosa/Mpondo hut was developed at Kirstenbosch. Events such as stargazing and firefly walks and early morning theatre concerts were popular. A Garden of Extinction was laid out in the 2004 and the Braille Trail upgraded. A Garden of Weeds was also developed and the Camphor Avenue resurfaced. This decade saw partnerships expand for research purposes. A partnership with Ball saw the release of various plants such as Plectranthus ‘Mona Lavender’. 2004 saw the National Botanical Institute (NBI) transformed into the South African National Biodiversity Institute (SANBI) with a much enlarged mandate. 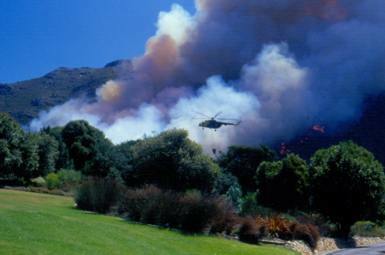 The following year the Rufford Maurice Laing Centre for Biodiversity Conservation(CBC), adjacent to the Kirstenbosch Research Centre (KRC), was opened. This increased space for staff and partners engaged in the new broadened mandate. 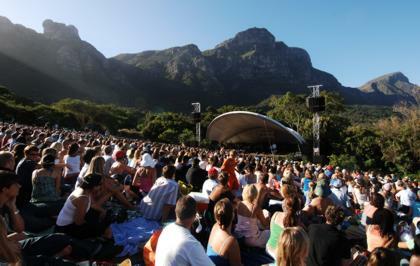 February 2006 saw a fire burn 40 ha of Kirstenbosch, but the garden achieved several milestones that year with the concert goers exceeding 100,000 and for the first time the Garden became self-sufficient financially, one of the very few botanical gardens in the world to have achieved this. Dogs were also banned from the garden in the middle of the decade, with an immediate improvement to the wildlife seen in the garden. 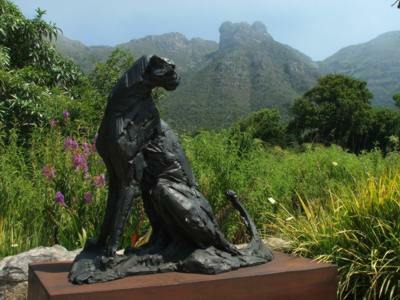 Dylan Lewis sculptures appeared in the garden and the Botanical Art biennial exhibitions were started in this decade. Various areas were reworked in the garden, including the Pelargonium Koppie, which included the erection of a stone sun shelter in 2008. Prof Brian Huntley left SANBI at the end of 2006. Dr Tanya Abrahamse was appointed as CEO in Sept 2007. 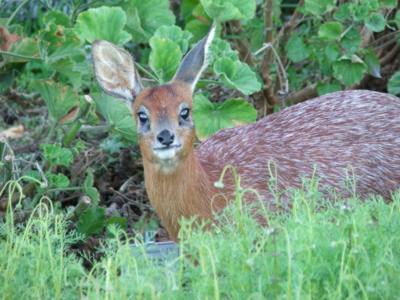 In Dec 2008 the Hantam National Botanical Garden at Nieuwoudtville in the Northern Cape was proclaimed. South Africa now had 9 National Botanical Gardens located in 6 provinces. This was decade of growth in electronic information at SANBI, with various websites launched to provide biodiversity information and a new corporate website at the end of the decade.